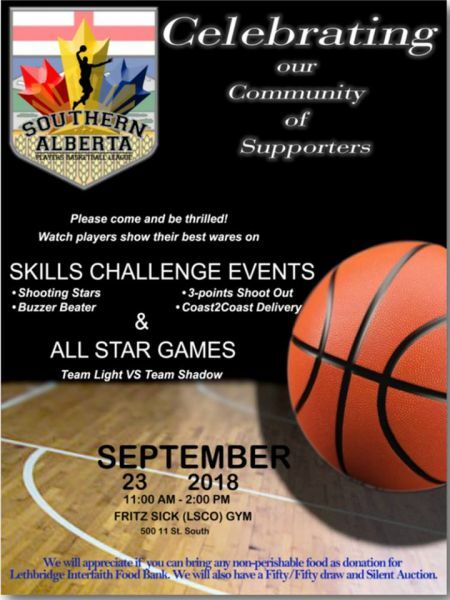 Check out the Southern Alberta Players Basketball League on Sun Sept 23rd, from 11 am -2 pm, at Fritz Sick Gym (in LSCO). There will be skill challenges events and a game, plus a silent auction and 50/50 draw. Please bring an intem for hte Interfaith Food Bank.